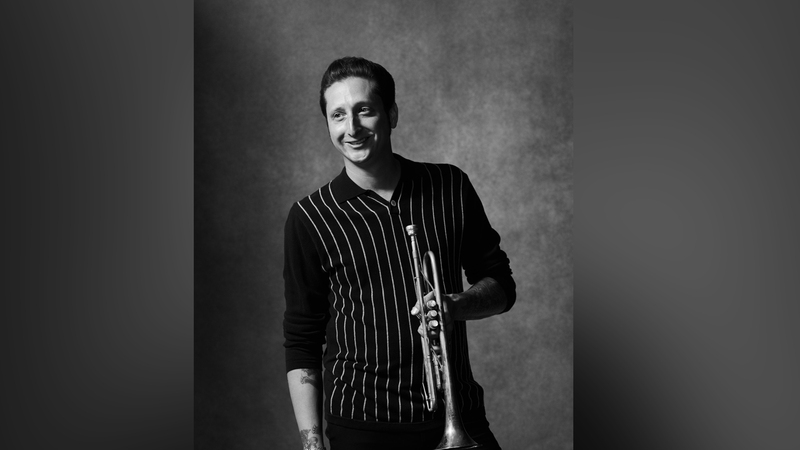 If you're as big of a jazz fan as Lady Gaga, chances are you've heard of Brian Newman. The frequent Mother Monster collaborator has been disrupting the scene for years, and now he'll be blessing music lovers with his debut solo album this fall. The first single off the LP, "Sunday in New York" takes listeners back in time, thanks in large part to Newman's powerful vocals and soaring trumpet solos. Do yourself a favor and listen to the track here ASAP. Fans will get the chance to experience the Cleveland native's swinging tunes IRL when he embarks on his four-city After Hours Tour, which coincides with Gaga’s Joanne World Tour dates. Starting tonight in Chicago (and later hitting New York, Boston, and Philly), jazz enthusiasts will be able to mellow out to his soothing jams after catching the "Million Reasons" performer live. Want to find out all the details from Newman himself? Catch him today at 3:00 p.m. EST on Facebook Live when he'll talking about his new single and upcoming club tour. Check out all the dates below, then make sure to Track Brian Newman on Bandsintown so you don't miss him when he comes to a city near you!